Apple has finally unveiled the iPhone 6 Plus, the company’s first large-screen smartphone at an event, as expected, along with the 4.7-inch iPhone 6 smartphone. It has a 5.5-inch ( 1920 x 1080 pixels) 16:9 display at 401 ppi pixel density with over 2 million pixels. It is powered by a new Apple A8 chip based on 20-nanometer process, has 2 Billion transistors, making it 50 times faster than the original iPhone and better GPU that is 84 times faster than the original iPhone. It has M8 motion co-processor and even has a Barometer for fitness apps that can tell you when you climb hills or mountains. It has an 8MP iSight camera with 1.5 micron pixels, f/2.2 aperture, true-tone flash and a new sensor. 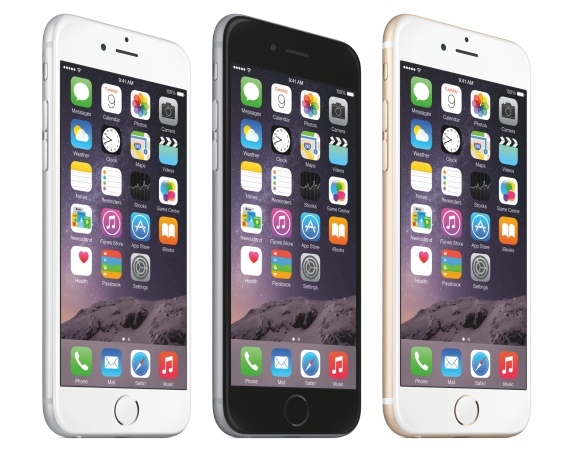 It also has optical image stabilization (OIS) that is absent in the iPhone 6. It can capture panoramas up to 43-megapixels. It can capture 1080p videos at 30 or 60fps, Slo-Mo videos at 120 fps or 240fps. For videos it has cinematic video stabilization. It also has a new 1.2-megapixel FaceTime HD camera on the front with 720p HD video recording, f/2.2 aperture and a new BSI sensor. It runs on iOS 8. The iOS 8 has been optimized to adapt apps for the large screen, and it even has 2-pane display in landscape mode and offers more information in some apps in portrait mode, compared to the iPhone 6. It packs a powerful battery, which would offer 24 hours of 3G talk time and up to 384 hours of standby. 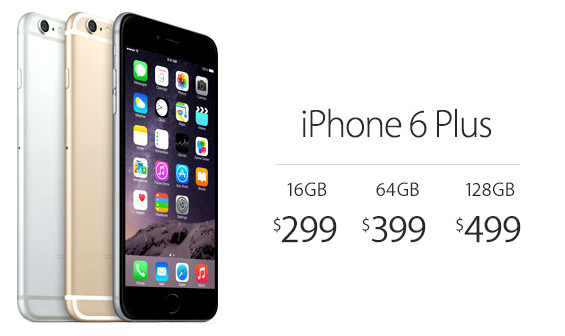 The iPhone 6 Plus is priced at $299, $399 and $499 for 16GB, 64GB and 128GB variants with a two-year contract. Both the iPhone 6 and iPhone 6 Plus come in Silver, Gold, Space Gray colors and would be available for pre-order on September 12th and goes on sale September 19 in the US, Australia, France, UK, Japan, Canada, Hong Kong, Singapore and Germany. It will be available across 115 countries globally by the end of 2014.